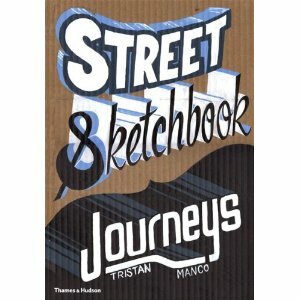 So its been over two years in the making but it’s coming soon… My latest book, Street Sketchbook: Journeys is now appearing for pre-release on Amazon. I’ll be writing more about it in the coming months, the official release date is 27th September – with a launch party in London lined up for the 1st October. But just today I heard news of a piece two of the artists appearing in the book did together. Saner and Sego were two artists I met on my travels in Mexico last year and this book has a Mexican flavour to it with nearly a third of the artist’s coming from all over Mexico. Painted at the National Museum of Popular Cultures – its an absolutely stunning piece which gives a flavour of what’s coming in this next book. 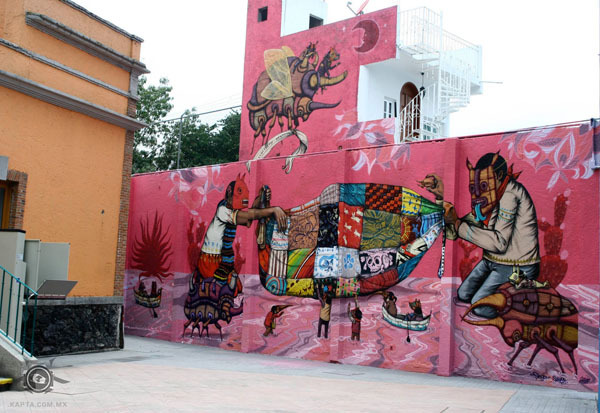 To read more about the project check Saner’s blog. Also check Sego’s blog for more great work and fantastic photos.